Now is the time to consider applying to be a Resident Assistant (R.A.) or C.L.A.S.S Advocate (C.A.) for University Housing. Sounds cool, but what do those titles really mean? RA-CAs work in the various University Housing communities and have multiple responsibilities that include: programming, connecting with residents, contributing to a great experience living on campus, and much more. Don’t just take my word for it, have a look at what current R.A. Minh Nguyen had to say! Q: What do you like most about being an RA-CA? A: As an RA, I am the first point of contact for my residents. I like to take every opportunity to engage my residents with things happening around campus. I get to help more than 50 people succeed academically and personally and make their college experience fun and memorable by being one of their resources. Q: What piece of advice do you offer to those that are applying to be an RA-CA? A: I strongly advise those applying to be an RA-CA to have a deep understanding in not tolerance, but acceptance, of others. Applicants should be genuinely dedicated to creating a caring, inclusive, engaging, and empowering community in which all residents can live. Also, one of the best ways to boost your chances of getting the RA-CA position is to be active in the community in which you live. Get to know your RA, be an active member of hall council or consider running for RHA. The more visible you are in the community, the better. Q: What is the most challenging part about being an RA-CA? A: One of the most challenging things about being an RA is learning time management. You never want to be spread too thin and end up doing a half-hearted job in any of your endeavors. As an RA, I've learned how to prioritize my schedule while maximizing my efforts. Q: What is the most rewarding aspect of being an RA-CA? 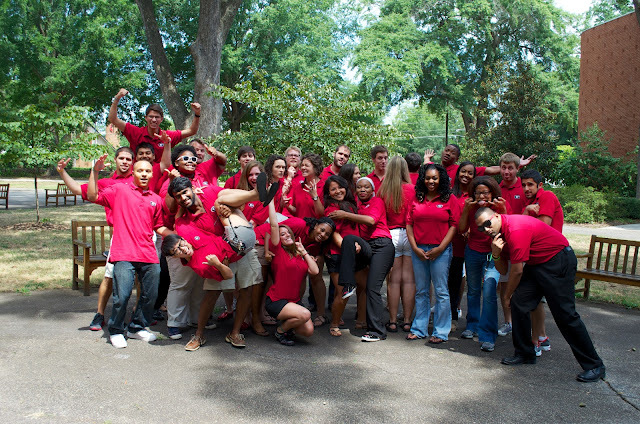 A: The most rewarding part about being an RA is watching my community thrive and grow even when I walk away from it. I know I am on the right track when I see my residents making plans to hang out with each other, self-sustaining their own community. After reading Minh’s perspective on what it’s like to be an RA-CA, you might be wondering what comes next in your decision to apply to be a Resident Assistant or C.L.A.S.S. Advocate for University Housing. Those applying to be an RA-CA must attend an information session to be eligible to apply. Please bring your UGACard with you to the information session. Applicants will need to fill out an application as well as submit a personal statement of interest. Applicants should also have two letters of recommendation. - Applications will be available November 12, 2012! - Applications and contact information for two references are due December 14, 2012, at 5 p.m., EST. For more information about the RA-CA application process, please visit our website or contact University Housing’s Staff Development and Student Conduct office at 706-542-8191. Elizabeth Manuel is a second-year Master’s student in the College Student Affairs Administration program at the University of Georgia. Currently, Manuel serves as the Graduate Resident for Undergraduate Student Development.